MAP-it is a tool for participatory cartography and conversation. It's a low-tech mapping tool that allows you to debrief past projects, manage current ones and plan future activities. 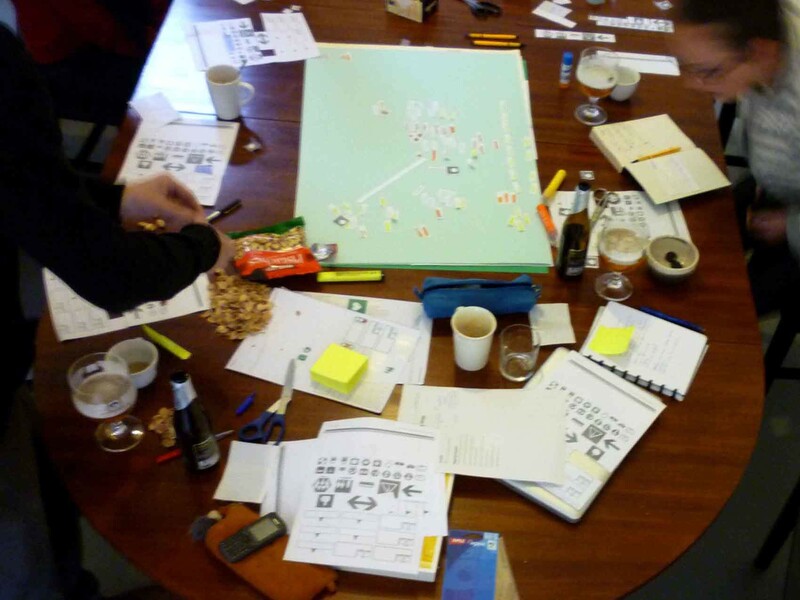 It´s a hands-on tool, an open and extendible set of icons that allows participants to make their thoughts explicit in a visual way, in the form of a map. The visual character of mapping allows participants from different backgrounds to discuss projects on equal grounds. Moreover, the mapping´s structure encourages to not only share positive experiences, but also leads to critique and debate. Communication is opened up and details come to surface using the various MAP-it elements.